Kosuke Imai is Professor in the Department of Government and the Department of Statistics at Harvard University. He is also an affiliate of the Institute for Quantitative Social Science. 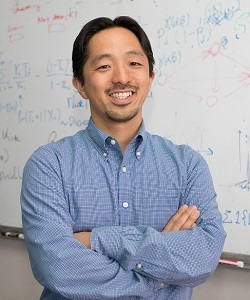 Before moving to Harvard in 2018, Imai taught at Princeton University for 15 years where he was the founding director of the Program in Statistics and Machine Learning. Outside of Harvard, Imai is currently serving as the President of the Society for Political Methodology. Imai develops statistical methods for causal inference and is the author of an introductory statistics textbook for social scientists, Quantitative Social Science: An Introduction (Princeton University Press, 2017).